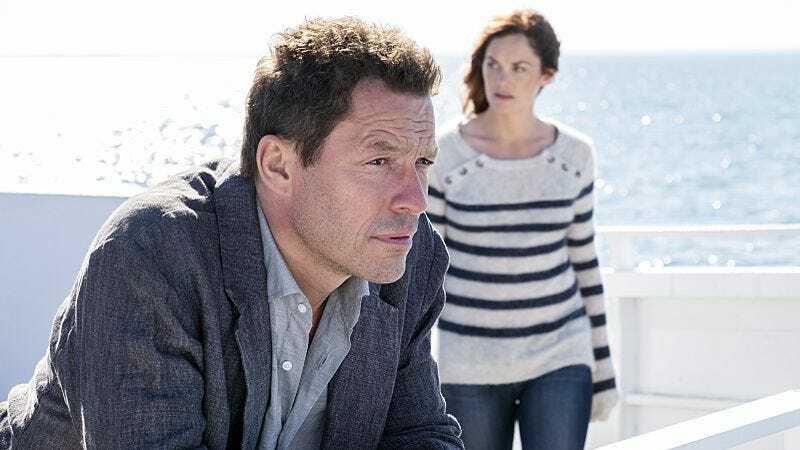 Just when we get a pretty good episode last week, The Affair has to ruin it all by giving us Noah And Alison’s Big Adventure Day. It was nice of Noah to say that he really loved Alison, but signing the divorce papers was the only way out for these two. Apparently Alison looked at that closed shop so intently because that’s where she and Noah bought her a dress when they first got together. Noah was so annoying during Alison’s half, I wasn’t sure I was going to make it through. That’s gotta be the new painkiller addiction, right? He basically just seems hopped up all the time. That said, I did enjoy his revelation during his half about the death of his mother. And it explains a lot why Nina feels so guilty: because she left her teenage brother alone to deal with their extremely sick mother. Dominic West did an amazing job in that confessional moment. As did Brendan Fraser in his scenes: Who knew he could be so absolutely menacing? He is my favorite part of season three so far. Still, turns out there’s no way Gunther is actually showing up in all those places: New Jersey, Montauk, Block Island. It seems like after all he’s been truth in the last few years, Noah is actually having a stress-related paranoid hallucination, given that there’s no actual damage to the back of his car. Which is much more intriguing than the reality would be, so I’m now more interested in seeing how this all plays out. Which we will discover in the second half of the season, which kicks off on January 1. See you all then: Have a nice holiday!